At Bella Bridesmaids, we are “in a relationship” with bridesmaid dresses- no side chicks, just bridesmaid love. We believe in creating an experience for brides and bridesmaids to find the perfect look for each maid. We’ll team you up with a Bella stylist to help guide you through the wide variety of colors, fabrics, prices, and sizes- all in one place! Plus, we carry Bari Jay! Whether you met your bridesmaids at summer camp, in college, or at the local bar- we’ve got you covered! There are 48 Bella showrooms across the country. 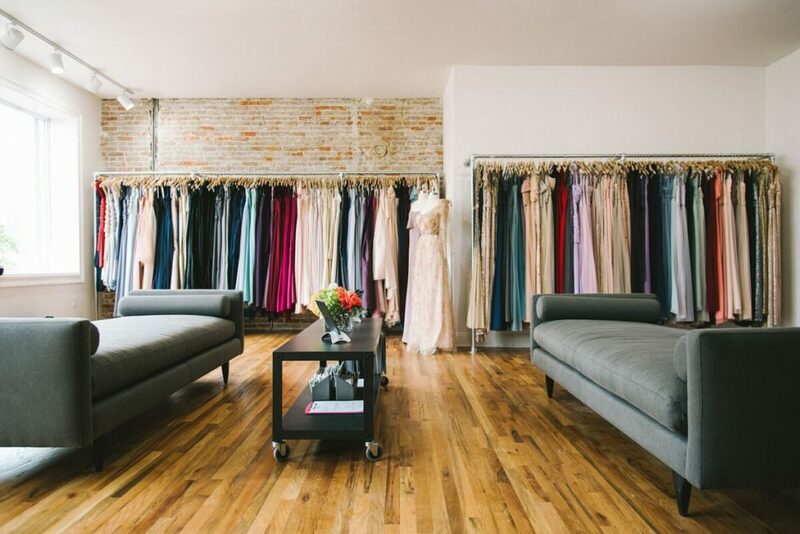 An out of town bridesmaid can visit their local showroom to try on dresses, have their measurements professionally taken, and determine sizing. Insert Full House theme song here! Bella takes great pride in creating a custom and personal experience for our brides and bridesmaids. Need to rush your dresses or order a style with Extra Length? We’ve got your back. Want a Bari Jay lace dress to be made in two colors? We can two tone it for you. The more customizations, the merrier! Let’s face it, all your friends are not the exact same height and size. The glory of shopping at a made to order store is we have LOTS to choose from. Picture Cher Horowitz’s closet, but for your wedding! #BellaFreehold Showroom. Photo by Paul Francis Photography. We love our Bella family. As a franchise of small businesses led by a mother daughter duo, we create collaborative partnerships with each of our designers. Bari Jay is cut from the same thread as they are also family owned and operated- run by two sisters! The truth is, we also consider our Bella brides and grooms to be part of the Bella family! Seeing their weddings come to life is perk numero uno of the job. If we could look at Real Wedding pictures and videos all day, we would (and we might). Don’t tell the boss! 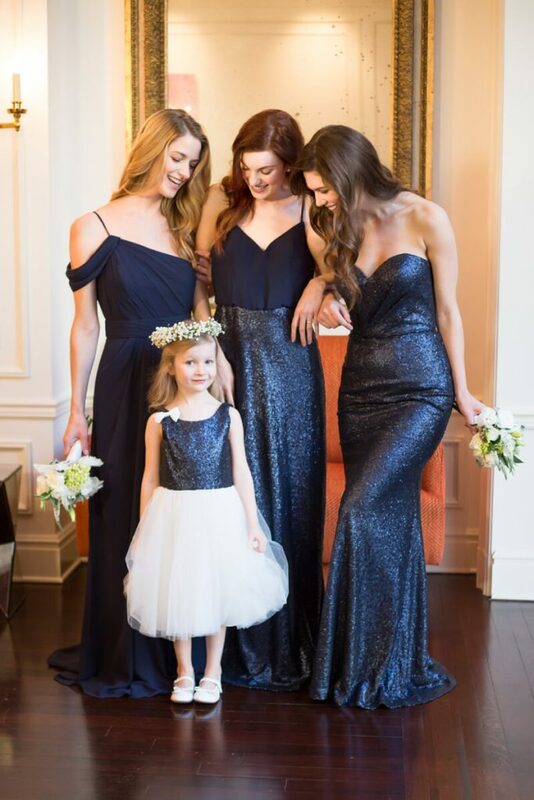 Bella Bride, Lizzi, with her girls in Bari Jay from Bella Bridesmaids Birmingham. Photo by Todd Helzer Photography. You got the bling…now what? Wedding planning can seem like a lot, so keep it simple and start with your attire. 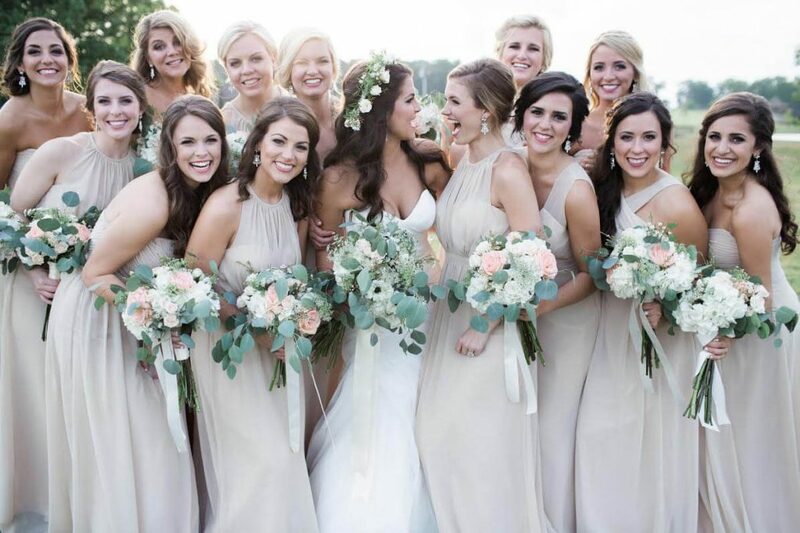 What you wear will help guide the style and formality of your bridesmaids’ dresses, so focus on yourself first! Start shopping with 1 to 3 trusted decision makers. Many times, especially on the weekends, you will have one fitting room during your hour long appointment, so less opinions makes sure you will see all the dresses you can handle. You can always bring everyone else for a second appointment after you have narrowed down your favorites. There are a LOT of choices! 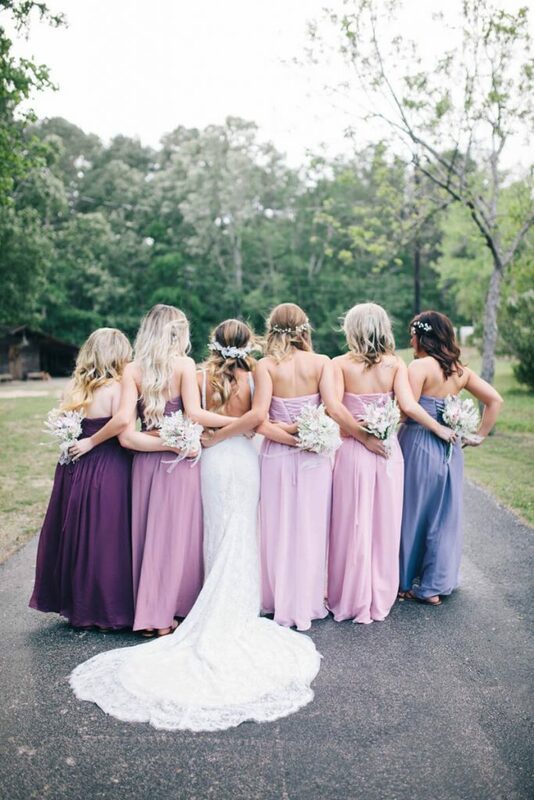 Choosing your general color scheme and preferred dress length before visiting will ensure you leave your appointment feeling accomplished, not confused. Questions about samples sizes, price points, or anything else? Give us a call, we are very chatty! P.S. OK fine, we sell flower girl dresses too, including Bari Jay’s new styles. Those don’t count as side chicks though, we asked. Bari Jay has brand new flower girl dresses and junior bridesmaids dresses!